Partly cloudy skies during the evening will give way to cloudy skies overnight. Low around 60F. Winds SW at 5 to 10 mph. The 53rd annual Governor's Frog Jump and International Egg Strike will be held Thursday through Saturday, April 18-20, in the town of Springfield. 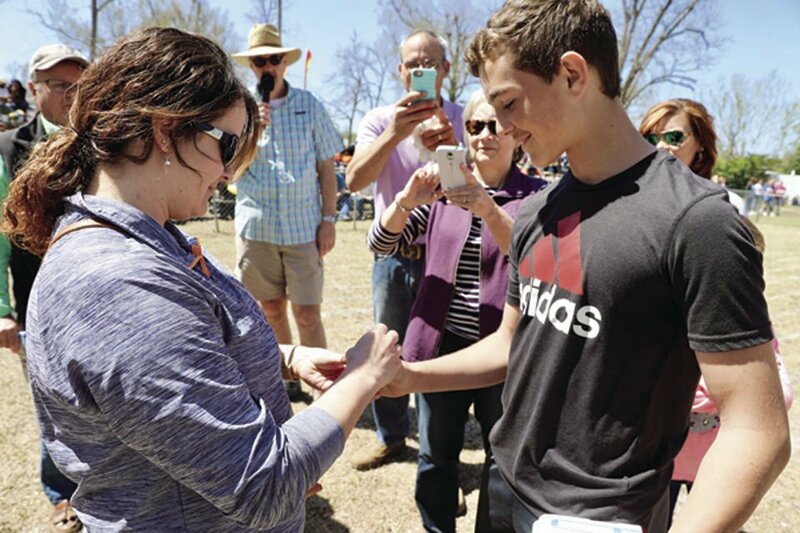 The Egg Strike competition was a family affair in 2018, with Senior Division champion Stephanie Croft facing off against her son, Blake Croft, the Junior Division winner. 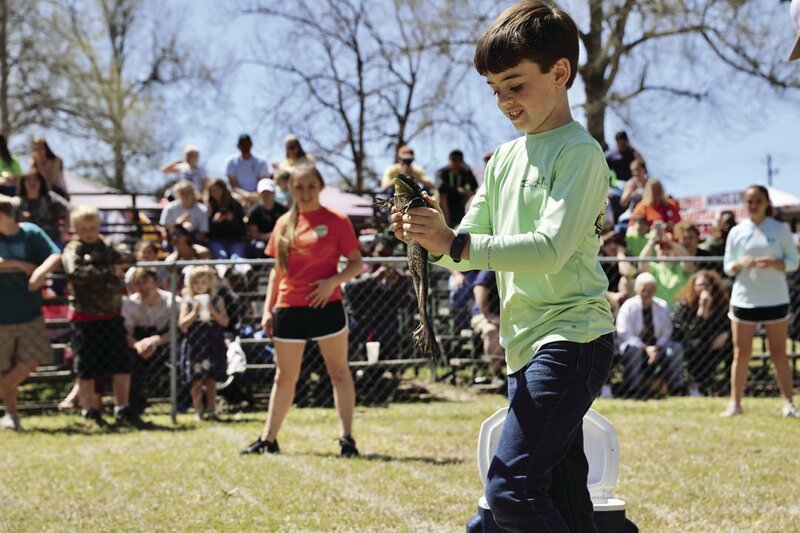 The town of Springfield will be hopping again during the 53rd annual Governor's Frog Jump and International Egg Strike Thursday through Saturday, April 18-20. There will be food, fun and entertainment galore. On Thursday, a bingo night at the town’s gymnasium will be held at 7 p.m. The Springfield Sock Hop will be held Friday from 7 to 11 p.m. Admission is $5. The Frog Jump competition starts at 2:30 p.m. There will also be an Easter egg hunt and cloggers entertaining the crowd. Springfield native Ryan Trotti, who recently won a statewide country music award, will return home to put on a concert Saturday evening. Springfield Mayor Ed Furtick described the festival as a “reunion” of former residents and said he expects a big crowd over Easter weekend. The festival actually began in Columbia in 1966, when the governor of California asked the governor of South Carolina to send a frog to California to compete in the famous Calaveras County Frog Jump. In 1968, a Springfield frog named "Buckwheat" won the contest in Columbia, and then-Gov. Robert McNair asked Springfield officials if the town wanted to sponsor the festival. Springfield accepted, and the rest is history. In the festival's second year, the International Egg Strike competition was added, with egg striking having been a tradition ever since Irish settlers came to Springfield.